We very much enjoyed our stay and would choose this place again. Location is amazing. 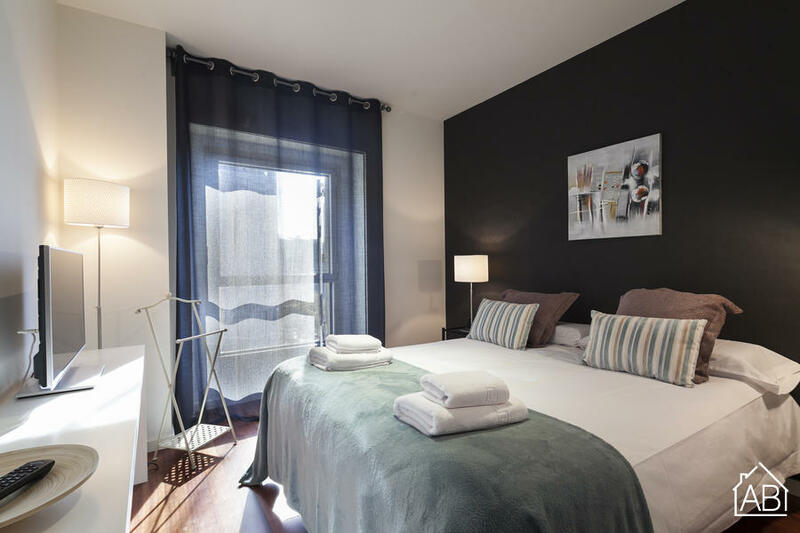 This luxurious, two bedroom apartment is perfectly located in the centre of the city, making it the ideal place to stay if you´re looking to make the most of your trip to Barcelona. With Plaça Catalunya and Passeig de Gràcia at your doorstep and the Gothic Quarter at less than 5 minutes walk away, you’ll have everything this city has to offer right at your fingertips, not to mention the hundreds of fantastic restaurants you´ll find in the surrounding areas. The large living room is the perfect place for gathering and relaxing after a long day of sightseeing. This area consists of a comfortable double sofa bed, two cozy armchairs and a flat screen TV. The kitchen is fully equipped, allowing you to create some Mediterranean inspired dishes from produce bought at the nearby Boqueria market. Enjoy your meal at the separate dining area with a glass dining table with matching leather chairs. The main bedroom comes with a double bed, while the other bedroom comes with two single beds. Both bedrooms are fresh and elegant in style. The bathrooms are very luxurious in look and style, completed in white marble and with fresh towels ready for use upon arrival. The apartment comes with plenty of amenities, such as Internet connection, air conditioning and a dishwasher. A holiday stay at this convenient accommodation will make your adventures around Barcelona easy to plan and even more worthwhile!